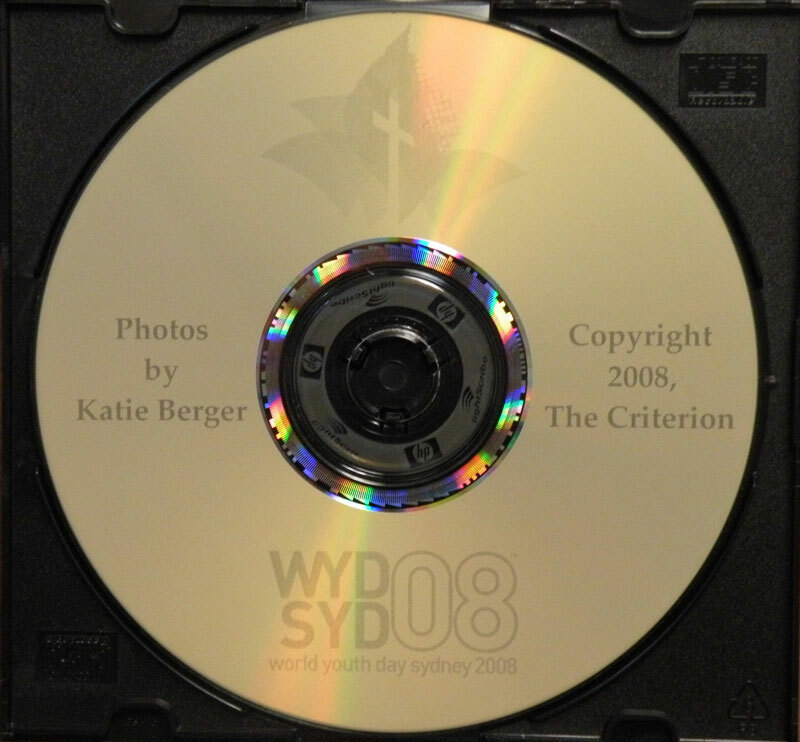 Katie Berger, who traveled to Syndey, Australia, with archdiocesan youths to celebrate World Youth Day, took hundreds of photographs during the pilgrimage, and Criterion Press, Inc. has made both a DVD and CD of those photos available for purchase. A PDF version of the pilgrimage itinerary, World Youth Day background information and final statistics. A CD is also available for $5 for people who have computers that cannot read DVDs. 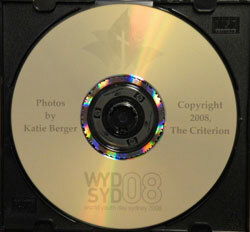 The CD version contains the same material except the full collection of photos. A note for individuals who aren’t tech-savvy: the photo DVD is not intended to be played on a DVD player connected to your television, nor can the CD be played in a car or other stereo system. Both discs are only for computer use.